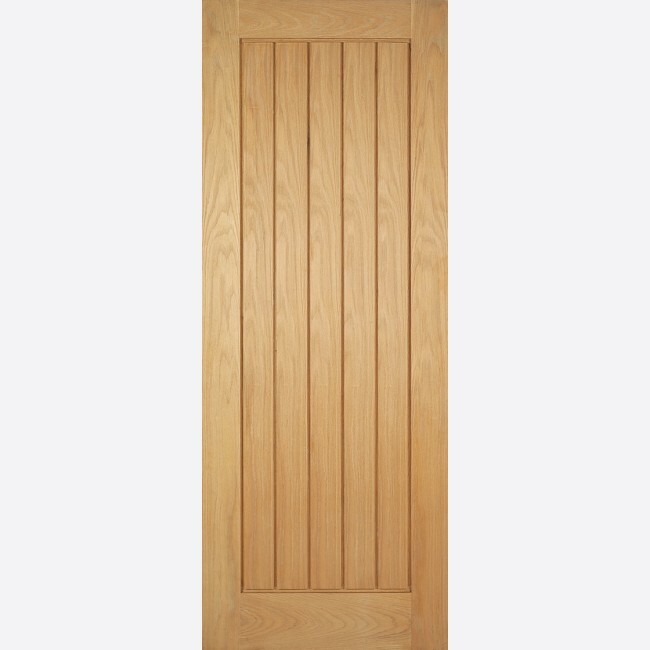 The Pre-Finished Mexicano Oak Fire Door is beautifully manufactured from American Oak to give your home a fresh elegant appeal. Used in both traditional and modern settings, the Mexicano Oak Fire-Door has a modern look while remaining a traditional design. This internal Firedoor has a handsome square grooved layout with a border surrounding the T&G style vertical grooves. Perfectly at home in a traditional or modern setting and with numerous Glazed and Firecheck options available to maximise the breadth of appeal and versatility, the Modern Oak Door Range is ideally suited to new build applications as well as remodelling or renovation projects. These Pre-Finished Oak Fire Doors have a real Oak veneer, with a grooved T&G effect central panel on both sides. 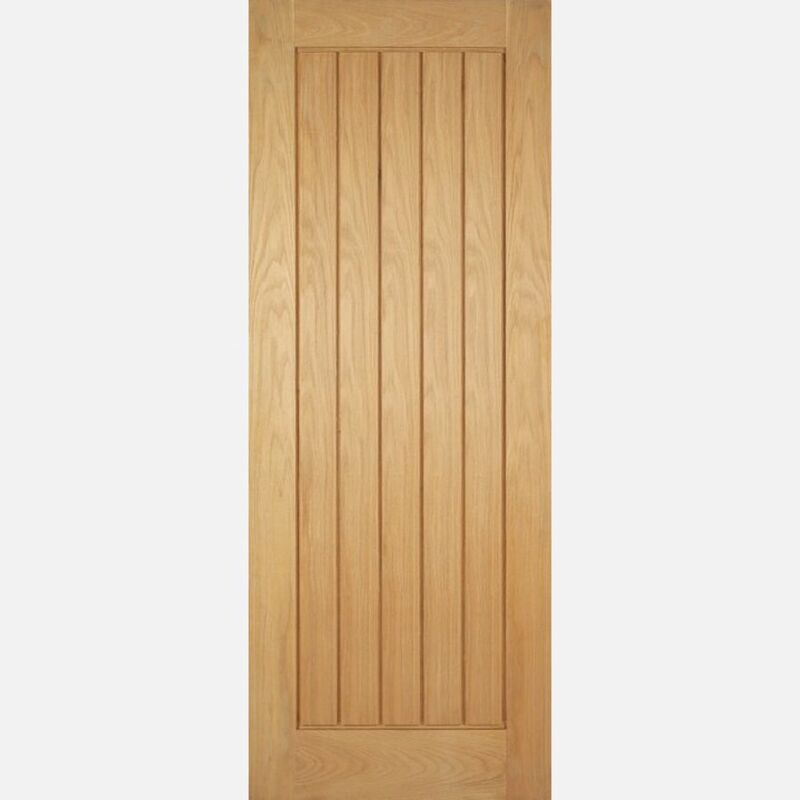 Oak Mexicano Fire Doors are manufactured from engineered door components which can include MDF, particle-board and laminated timber. An elegant pre-finished fire door for your home. Created from white oak and featuring a decorative9l grooved design. LPD Pre-Finished Oak Mexicano Fire Door Codes - PFOMEXFC24 - PFOMEXFC27 - PFOMEXFC30 - PFOMEXFC33 - PFOMEXFC726 - PFOMEXFC826 - must be treated to manufacturer's instructions. - It is the purchaser's respon­sibility to check the suitability of their FD30 Mexicano Fire Door and it's Certi­fica­tion, in conjunction with Intumescent Strip, the Fire-Door Frame with Architrave, the Fire-Door Panic Hardware and the Mexicano Fire-Door's Situation of Use. - We cannot cancel or exchange LPD Fire Doors after order - LPD Mexicano FD30 PF.Oak Fire Doors are supplied as a Special Order. Once ordered, the manufacturing process will begin, and there can be no alteration or cancellation - No alteration or cancellation will be accepted by LPD Doors Ltd.
E. & O.E. see T&C - We do try to keep prices and specifi­­cati­­ons of LPD Mexicano FD30 Pre-Finished Oak Fire Doors correct, but mistakes can be made!